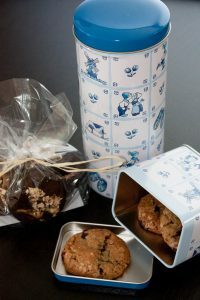 Our homemade fresh-baked cookies and attractive executive gift packaging is just right for your company or brand. We will include your business or gift cards with a personal message tucked inside the box, packed with delicious cookies, cakes or cupcakes. I would love to become a vendor for your company and your staff. Simply click here, send me the filled in form and register as a corporate client. I will send you a Vendor information form to start any potential purchase order requirements or other billing processes your company requires. This way we can get the all of the necessary paperwork out of the way quickly so I can start baking for your staff to celebrate your company’s new “Cookie Wednesday” policy!